The acting Inspector General of Police, IGP Ibrahim Idris, has warned all rank and file of the force against extra judicial killings. The interim Police chief, who gave the caution during his first official outing since his appointment, said that human lives are very precious. He was speaking at the Passing Out Parade of squadron commanders operation at the Police Mobile Force Training College in Osun State, southwest Nigeria. Mr Idris asked the officials to avoid any act that may lead to divide and rule in the Police force. He sounded a stern warning against ethnicity and favoritism which he said he personally observed in the force. 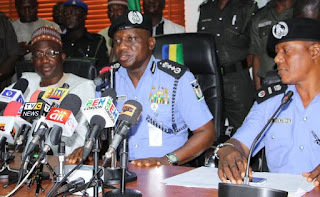 He added that if complaints of favoritism or ethnicity were received against any commander, such would be treated with uttermost seriousness to preserve the unity of the Police.